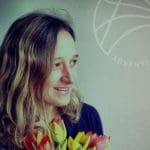 What yoga teacher Katharine Lawrence had to say about SnowYogi 2012! 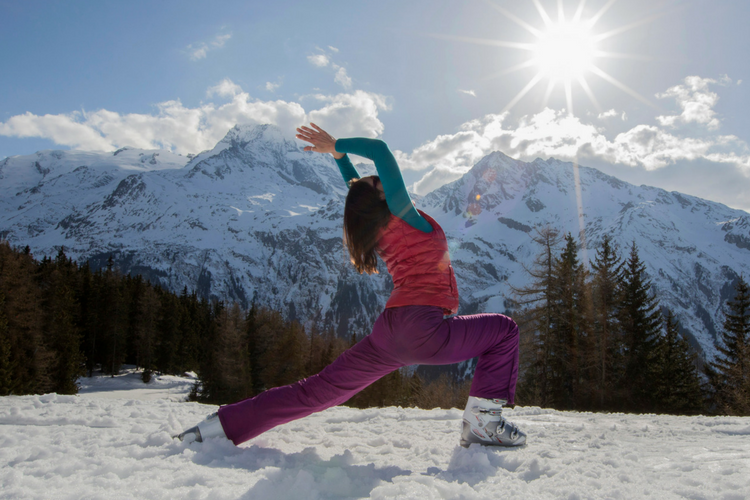 I had read in the past about pro snowboarders using Ashtanga Yoga as part of their training, so I was keen to see how the practice would aid the SnowYogi guests on the slopes, and also see how my Ashtanga body held up to a week of snowboarding lessons. We rose early to begin our first yoga session of the day, using the practice of Ashtanga beginning with the Surya Namaskara to wake the body up, and begin to start moving in time with the breath. We then worked mainly with the standing poses. The Ashtanga Primary sequence is about realigning the spine, so the initial poses give us length through the spine but also really starts to work into the legs which is great for strengthening. It’s also fantastic to start to achieve that body awareness so needed on the slopes…knowing where you are in space and what your body is doing, finding that balance between effort and effortlessness! A fine balance that became so apparent with a board strapped to my feet for the first time…just relax and breathe. A phrase that applies to both yoga and snowboarding! The Ashtanga in the morning warms the body and prepares it for the day ahead. The feedback from the group was that they really noticed the difference on the day off without yoga in the morning! The flexible body that the yoga cultivates also helps in softening those falls! Utthita Hasta Padangusthasana is the first balance that we find in the Primary Series, it has 14 vinyasa, so 14 breath synchronised movements, plus the holding of the pose once you get there means that you are balancing on one leg for a long time! It’s about the strength in the standing leg, the use of your Bandha (energy locks) to maintain your balance, the use of Dristi (a focal point) so you don’t wobble, and the length of your hamstrings, all this combined with keeping a smooth even breath results in a demanding pose that requires concentration (Dharana), the sixth limb of Ashtanga Yoga. The evening classes after a day skiing or snowboarding at the ski area San Bernadino, were slower paced and more restorative and nurturing. More time was spent on the floor than in the morning class and poses were held for longer allowing time for the body to begin to soften and to relax again. Lengthening out the legs and opening the front body, keeping the focus on the breath and developing ahimsa (non-violence)! Classes also consisted of Pranayama (breath control), to bring balance to the energetic body and also chanting, a great way to work together as a group and create super healing energy within and for those around us. The combination of the mountain air, sunny days and a twice daily yoga practice was an invigorating week full of life…Om Shanti…Om peace.